Speaking to company shareholders on Tuesday, Apple's chief executive Tim Cook made it clear that he would sidestep any and all questions about Apple's next strategic moves in automotive (including rumors of developing its own car), outside of one element he has repeatedly emphasized: CarPlay. Cook has recently taken to listing CarPlay alongside HomeKit and Health/Research Kit as the company's "seamless extension of iOS" into the car, the home, and healthcare and clinical research. CarPlay was first introduced by Eddy Cue at WWDC 2013 as "iOS in the Car," a new initiative that Cook at the time called "very, very important" and a "key focus for us." Analysts have largely ignored Apple's initiative, only once asking a moderately substantive question about it during the company's earnings calls. Apple's ability to seamlessly integrate its iOS experience into cars--with the participation of car makers--has likely received little attention from analysts because they don't see the immediate ROI more obvious in parallel initiatives such as Apple Pay. The sudden rush by Google, Microsoft and others to copy Apple's implementation of CarPlay as a virtual screen for iPhone, with a non-distracting interface using Siri and physical controls built into the vehicle, is evidence that Apple got it right. However, it's clearly important. The sudden rush by Google, Microsoft and others to copy Apple's implementation of CarPlay as a virtual screen for iPhone, with a non-distracting interface using Siri and physical controls built into the vehicle, is evidence that Apple got it right. Throughout 2014, Apple introduced a series of new companies committed to delivering vehicles supporting CarPlay, but Apple's critics instead focused on possible holdouts, and imagined competition that might come from the copy Google produced and signed with its own name, Android Auto. There was even rampant speculation that low-level QNX kernel software (commonly used in the automotive industry before it was acquired by BlackBerry in a failed attempt to deliver the PlayBook as an iPad competitor back in 2011) would somehow mount a defensive obstacle to CarPlay. Instead, carmakers and automotive head unit manufacturers have adopted CarPlay on top of QNX, Linux or whatever other embedded platform they had been using, and often in parallel with Android Auto--given that Google's copy works identically to Apple's original design. If nothing else, Google's appropriation of CarPlay at least offers more insight into how CarPlay works than the less forthcoming Apple has made public, even if Google did flatly tell its developers that it conceptualized its version of CarPlay as a wholly original product, all by itself, sharing no credit with its originator. Microsoft's Windows "carputer" model has now been abandoned by its last remaining holdout Ford, which said it wanted something "more responsive and less clumsy to use." That mirrored the way Windows Mobile and Tablet PC were abandoned soon after Apple introduced iPhone and iPad. 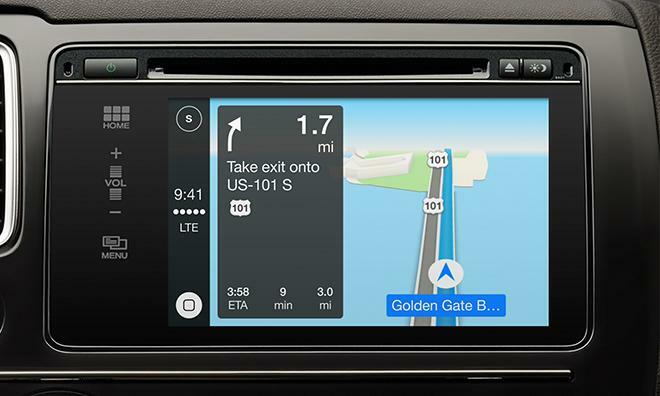 Over the first three months of 2015, CarPlay has made headlines among third party head units by Pioneer and Kenwood at CES (which Apple didn't even attend); Volkswagen announced support for CarPlay would be integrated in its MIB II (modular infotainment platform) cars later this year; Chevy depicted CarPlay in its 2016 Volt at January's North American International Auto Show; and Koenigsegg included CarPlay as a feature of its exotic new Regera supercar at the Suisse Geneva Motor Show earlier this month. At Apple's own Spring Forward event, Cook gushed that "every major carmaker" is now on board with CarPlay, including 40 new car models to be introduced in 2015. Apple's current marquee listings include a variety of "committed partners" who weren't listed just over one week ago, although the listing is an inconsistent assortment of certain minor brands lumped in with a few big conglomerates. CarPlay's committed partner list currently includes the world's third largest carmaker (as noted by OICA) Volkswagen Group and its brands Audi, SEAT and koda (but not its Lamborghini, Bentley and Bugatti ultra-luxury brands or its Scania truck brand); seventh place Fiat Chrysler Automobiles and its brands Abarth, Alfa Romeo, Chrysler, Dodge, Fiat, Jeep, RAM and Ferrari (missing only the deadend Lancia and ultra-luxury Maserati badges); eleventh place Renault and fifteenth place Mazda, all of which are new. Apple's CarPlay listings don't enumerate the various brands used by Toyota and GM, the world's top two carmakers (only listing them as Toyota and Chevy, Opel), or any sub-brands for the fourth, fifth and sixth place Hyundai, Ford and Nissan. Eighth and ninth place Honda and Suzuki are also listed just once, but Apple's CarPlay page now includes Citroën and Peugeot, rather than their parent company "PSA Peugeot Citroën," while also listing the firm's new "avant garde" DS brand separately. Eleventh and twelfth place Renault and BMW Group are also listed under just their company name (again, with no mention of subsidiaries such as Renault's Dacia or BMW's Mini). Notably absent is Chinese carmaker SAIC, which ships about 2 million vehicles per year, nearly as many as BMW and more than CarPlay partners in fourteenth and fifteenth place: Daimler (which Apple lists as Mercedes-Benz) and Mazda. Dongfeng Motor, the next largest carmaker (also from China) is missing, but seventeenth place Mitsubishi is listed as supporting CarPlay. Along with SAIC and Dongfeng, Chang'an and FAW are the other two carmakers rounding out China's "big four" state owned automakers; collectively, they all shipped 7 million vehicles in 2013, making them comparable in size to Ford. The difference is that China's Big Four are supported by state incentives. [Update: a larger difference, notes reader "konqerror," is that foreign automakers are required by law to form joint ventures with domestic Chinese manufacturers in order to sell cars in China, and must substantially build those cars in China. "None of China's local carmakers have the designs and technology for much above entry level vehicles," he states. The millions of vehicles shipped by China's big four are predominately branded as being GM, Volkswagen, Hyundai, Nissan and Toyota, although various makers in China have partnered with different Western companies. For example, auto site The Truth About Cars states that SAIC has joint ventures with both GM and Volkswagen, while FAW has parallel joint ventures with Toyota and Volkswagen. The two manufacturers are rivals, but develop different vehicles from the same Western partner, so car buyers in China looking at a Volkswagen Jetta and Passat would find them built and sold by different manufacturers. "So if you want Carplay in China, you buy the Shanghai GM Chevrolet Aveo (Spark in the US), which has the identical smartphone link as in the US," konqerror wrote, adding, "Ford Sync 3, Chrysler Uconnect, and Chevy Mylink are substantially the same system. It's made by Panasonic." The primary difference between iPads and automotive is that Ford has nowhere near Apple's market share in the products it exports to China. On the other hand Apple is, as Cook noted to shareholders, "the largest U.S. company in China." Apple is also among very few Western tech companies that have been very successful in China; in contrast Google, Facebook and Twitter are not easily accessible within China because the state stridently blocks access to all of their websites, even poisoning DNS to block VPN pathways. While the state is working protect its domestic industry from Western imports, the demand for Apple's products is higher than ever and growing rapidly. While there's been a lot of speculation about why Tesla (which still makes fewer than a tenth of a million cars annually) hasn't yet adopted CarPlay, it's noteworthy that Apple has indeed involved all of the top carmakers, all within two years of even announcing its CarPlay effort. That's particularly impressive given the longer, more conservative development cycle that carmakers follow compared to the tech industry, and the much longer replacement cycle cars have compared to tech products like iPhones and iPads. Further, the popularity of Apple's iPhone in China, and the fact that the company only officially launched there on its largest carrier just two years ago, makes it likely that local carmakers [even those not building cars on behalf of Western carmakers in joint ventures] will likely also move to adopt CarPlay soon. Of the next 30 largest automakers in the world's top 50, at least 20 are based in China, and all of them have been shipping more cars per year than Tesla. 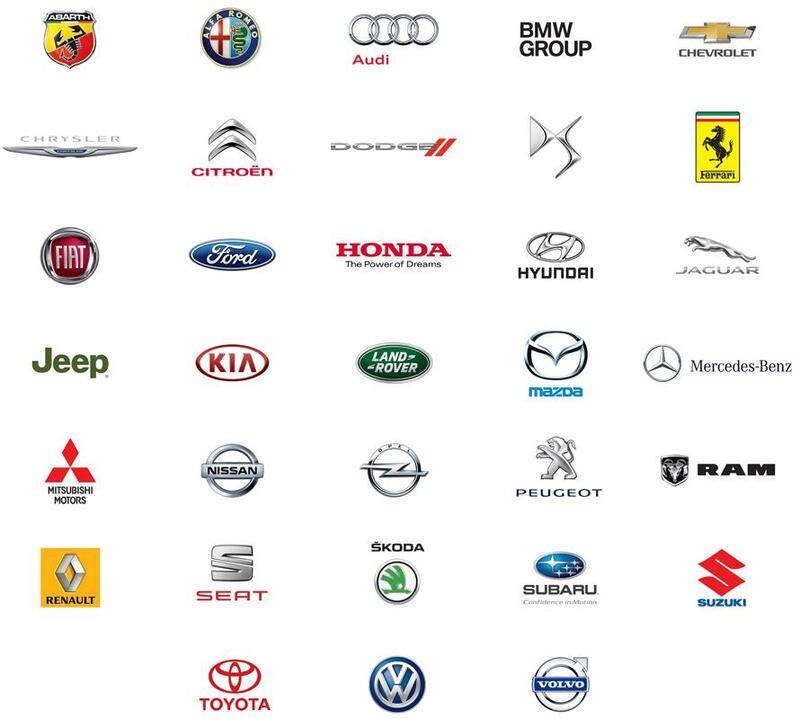 Also note that many of these companies have formed joint partnerships, collaborate on car designs, build vehicles on contract at some of these Chinese manufacturers and own equity stakes in each other or are planning to merge and or sell, terminate or create new brands over the coming years. It's also entirely possible that Apple could join carmakers in either co-building or adapting an existing vehicle, or jump right into producing cars on its own.